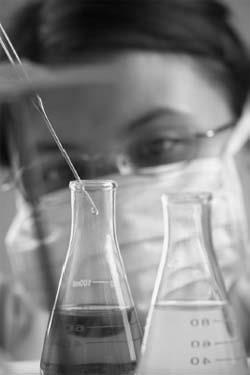 What are some different types of titrations? We already considered the titration of a base by an acid. Certainly acids can also be titrated by bases, but there are also many other types of titrations, so let’s look at just two more. In a titration, two solutions—one of a known concentration and one of an unknown concentration— are slowly combined until a reaction occurs. When that happens, the concentration of the second solution can be determined.